Ever wonder what happens to the artists who win Best New Artist at SXSW? If they’re Caroline Herring, they release a strong second album and then disappear, putting their recording career on hold to focus on marriage and motherhood. Now, after a long hiatus, Herring returns to the forefront of the folkworld with Lantana, a stunning, intimate collection which I’ve already shortlisted as one of my top ten folk/roots/Americana albums of 2008. Taking time off for family is an especially risky move in today’s music world, where momentum is king — bloggers, who constantly seek “the next big thing”, share no small responsibility for accelerating this process. But with true genius, Herring turns her time out of the limelight to her advantage, treating it as both subject and sustenance, crafting a strong, polished set of tunes which speak to the the complex balance between traditional family roles and career ambitions which women are asked to internalize in modern society. The result is a revelation. 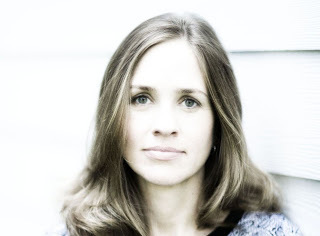 Herring’s five years out of the studio only intensified what was already a stellar ability to create and deliver poignant, powerful songs about the world around her in a pure, rich southern-twanged voice reminiscent of some of the the best female folksingers of the past thirty years. The songs on Lantana are simultaneously authentic and new, applying traditional folk storytelling and verse structure to stories of women in today’s rural South who, like Herring herself, have struggled to find their place between the demands of the heart and post-feminist possibility. Universally accessible yet rooted deeply in the sounds of Herring’s native south, Lantana is the best singer-songwriter CD I’ve heard in a very long time. Let’s hope it’s the first of many more to come from this up-and-second-coming talent. Lantana doesn’t come out until March 4th, but you want more of Caroline Herring as soon as possible, so pre-order Lantana over at Signature Sounds today. Act now, and you can pick up this magnificent album for under ten dollars — a real steal in today’s market. Still not convinced? Check out Paper Gown over at fellow folkblog Here Comes The Flood. Their description of Caroline Herring’s sound as “gothic country” is right on the money. Alt-folk artist and producer Joe Henry and I are doing double duty today, folks: Henry’s amazing cover of Pale Blue Eyes appears below, but I’ve also guest-posted a write-up of his coverwork over at Disney cover blog Covering The Mouse for this month’s “When You Wish Upon A Star Week”. Thanks to CTM host Kurtis for inviting me over to play, and don’t forget to head on over for the bonus Joe Henry tuneage after you’re finished here! 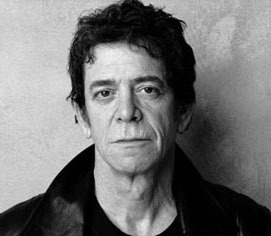 It’s hard to mistake Lou Reed for a folk artist. As primary songwriter for pre-grunge, early lo-fi champions Velvet Underground, Reed wrote for a sound wailing with feedback and screaming with the heady rush of an early rock and drug culture. And though the simpler streetmajesty of his early solo work, most notably 1972 single Take a Walk on the Wild Side, comes across as not so far off in both voice and production from contemporaries Leonard Cohen (a true folkie) or Springsteen (who has always teetered on the folk-rock edge), his work over the last few decades has tended more towards the odd, the electronic, and the experimental. But many of today’s singer-songwriters cut their teeth on their parent’s Velvet Underground records long before the colored girls sang “doot doo doot” on classic rock radio. And Reed’s songwriting, its vivid imagery grounded in the muted browns and grays of streetcorners and the seamy underbelly of urban life, still speaks to a generation growing up alienated from place, in part by the very medium that carries these words from me to you. Covers of Lou Reed’s work are everywhere, and more often than not, they sound like folk. Today in celebration of the singer-songwriter as folk artist, we present a quintet of Lou Reed covers by a set of musicians from the periphery of folk. The cuts below mostly feature young and blog-popular indie musicians, though I’m allowing father figure Joe Henry into the fold because of his work producing such neo-folk musicians as Teddy Thompson and ani difranco. Though few of these folks self-identify as folk artists, their primarily acoustic, rough-voiced, low-production styles ground them in the genre nonetheless, even as these same qualities call to the original tone and temper of Reed’s beautifully brokenvoiced anthems of broken boulevards and counterculture dreams. If you’re old, like me, you’ve probably got your old Velvet Underground and Lou Reed albums packed away on their original vinyl format; you can upgrade for the digital age here, and get Lou Reed’s newer work via Hi Fidelity. All other artists listed today sell their disks directly through their web pages or labels; just click on their names to buy and browse: Martha Berner, Clem Snide, Cat Power, Iron and Wine w/ Calexico, Joe Henry.